The Jacques Selosse Les Carelles ($434.46) is a sparkling wine from Champagne produced by Jacques Selosse from the chardonnay grapes and has an alcohol content of 13%. 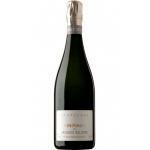 At Uvinum, this sparkling wine scores an average rate of 4 of 5 points and with the following scores: robert parker: 98. -Nose: The nose mix the lime with lemon zest confit inevitably evokes a great Burgundy Chablis or Meursault In bouche was montre le vin et minéral frais. Very light flavour. I loved the smell of baking.Correct acidity. Aromas of yeast. Fleshy, smoothy. Very light flavour. Notes of yeast and biscuit. A pleasing lightness, easy to drink. Has a strong colour. A Champagne with yeasty aromas. I noticed The a little astringent. 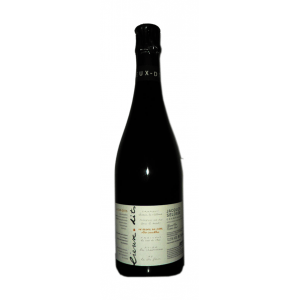 Les Carelles Extra Brut Lieux-Dits Grand Cru. This champagne is part of the collection "Lieux-dits" (named places) that consists of 6 champagne, each with the name of your parcel origin. If you want to buy Jacques Selosse Les Carelles, at Uvinum you will find the best prices for Champagne. Get it now at Uvinum, in a 100% secure and easy process. We have over 59.000 products for sale becoming this way the biggest company to sell wine, beer, and spirits online in Europe with more than 38.000 customers who trust us.